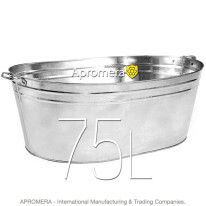 Galvanized Round and Oval Wash Tubs made from galvanized steel of 0,50- 0,55 mm thickness are universal in use. 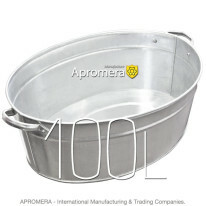 Wash Tubs are designed and used for a wide range of household needs. 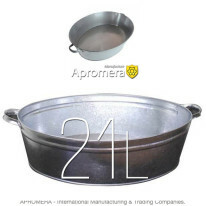 The shell binding of Colored Metal Wash Tubs and the bottom seaming are fully automatic, 3-4 metal layers are formed in the seam area (depending on the product), which increases its strength and sealing capacity. This process is called rolling. Galvanized containers are great for household and garden needs as they are sure to look good in the interior. 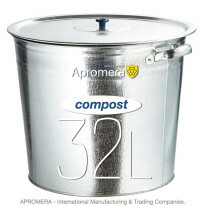 Medium-sized buckets make the perfect kitchen essential and can be used for washing fruits and vegetables. 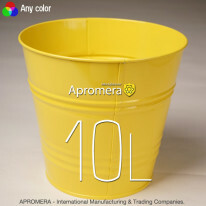 High-capacity containers will come in handy for any water related activity such as washing, rinsing, cleaning, bathing. 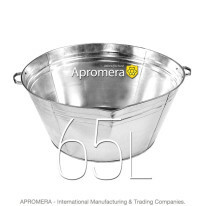 Comfortable design enables the water to be poured out evenly. The item is absolutely necessary for domestic and garden use. 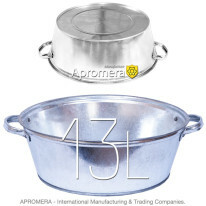 We offer models of large and small sizes, of round and oval shapes, plain and with patterns. From an early age, the article is familiar to all of us. Not long ago the container was used for bathing dogs and pets, not only in rural areas but also in apartments, as it is very convenient and practical. 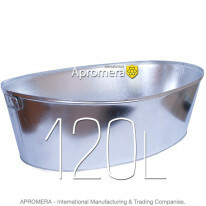 This Galvanized Oval Wash Tub often used for carrying and storing various solid and liquid substances as well as for other household purposes. 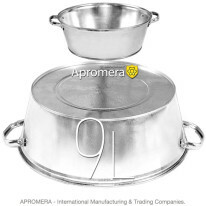 So it is absolutely necessary to purchase this article for everyday use because this container can be helpful in various situations. 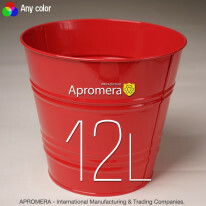 We offer you containers of virtually any color and shape – round, oval, square. All products are offered at low prices. 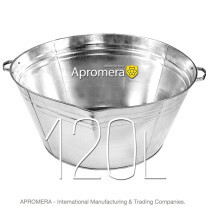 Our major catalog contains a great number of these goods. Their quality will be a great bonus for you. Whatever you choose, be sure it will be durable and flawless! 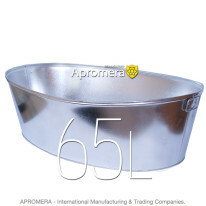 Our products will make the perfect helper in your domestic work. Choose reliable and time-proven products! 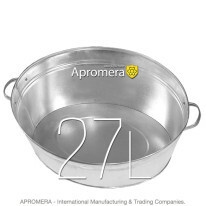 You will enjoy their excellent quality / price ratio, and you will be happy to advise Apromera-produced goods. Information on Terms of Payment and Delivery is available here.